The Local Early Action Planning and Management (LEAP) Tool was developed in 2010 through a collaborative process with community members, resource managers, conservation practitioners, and representatives from various sectors (e.g., food security, fisheries, disaster risk management, climate science) in Micronesia. ref The tool was designed to be used by conservation practitioners and partners to help communities in Micronesia implement adaptation planning with a focus on ecosystem-based actions. 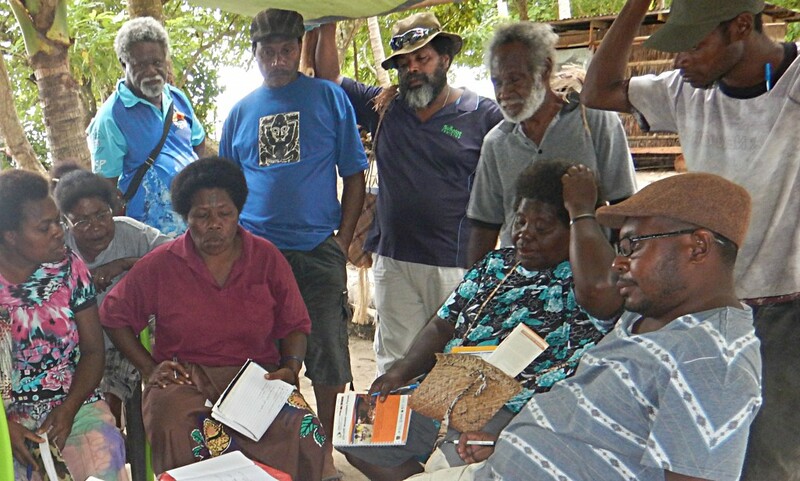 The LEAP tool helps community practitioners facilitate participatory activities to improve community understanding of climate change impacts, engage stakeholders and sectors in the planning process, and facilitate an understanding of which climate and non-climate threats to social and ecological resources are most important. ref In 2012, the U.S. Coral Triangle Initiative Support Team adopted and adapted the tool for the Coral Triangle to support climate change adaptation in the region. Each step includes instructions for community facilitators, worksheets/templates with guiding questions, and exercises to be conducted with community members and/or a core resource management planning team. Most exercises are based on participatory rural appraisal methods used in natural resource management (e.g., seasonal calendar, historical timeline, and community mapping) and users are encouraged to build on materials developed through previous management planning processes rather than create new products. ref Application of the LEAP requires community facilitation expertise, basic knowledge of climate change science, climate impacts, and adaptation strategies across multiple sectors. Based on the need for additional technical support, a number of new tools have been developed to support community adaptation to climate change such as a guide on understanding and planning for coastal change issues (i.e., coastal erosion and flooding, a guide on designing effective locally managed marine areas, guidance for the Coral Triangle on ecosystem-based management and developing fisheries management plans using an ecosystem-based approach to address both human and ecological well-being).